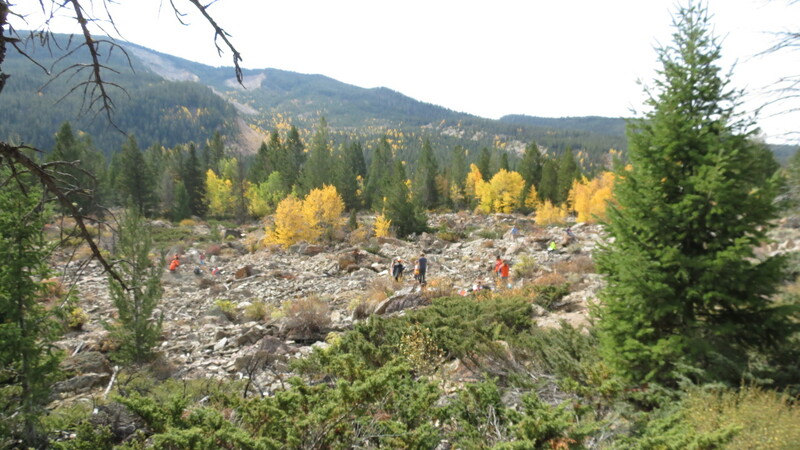 Above, students study pikas in Wyoming's Gros Ventre Slide. Below, the author seeks the hard-to-find species. American pikas frequently make their homes in rock slides, where they live a precarious existence in between the spaces of rocks. But shifting rocks aren't the only danger these small mammals face. They are acutely sensitive to temperature variations, and that has made them an important predictor of climate change. Pikas are found in British Columbia, California, Colorado, Idaho, Montana, Nevada, New Mexico, Oregon, Washington, Wyoming and Utah. Grass and plant eaters, they gather extra food in summer and cache it in their tunnels for the winter months when they remain active. They are important prey for bobcats, coyotes, foxes, weasels, eagles and hawks. Related to rabbits and hares, pikas sadly don't share their capability to increase and multiply. Their numbers are dwindling in many states, and some scientists want them put on the endangered species list. I hoped to see American pikas when I visited Wyoming's Bridger-Teton National Forest recently as part of a "citizen science" project. I didn't. Perhaps the Teton Science Schools students who also came to the site that day had better luck. However, I did sight a fat little furball a few days later in Yellowstone National Park. So while pikas may be at risk, they aren't extinct. At least not yet. Why should humans care about pikas? 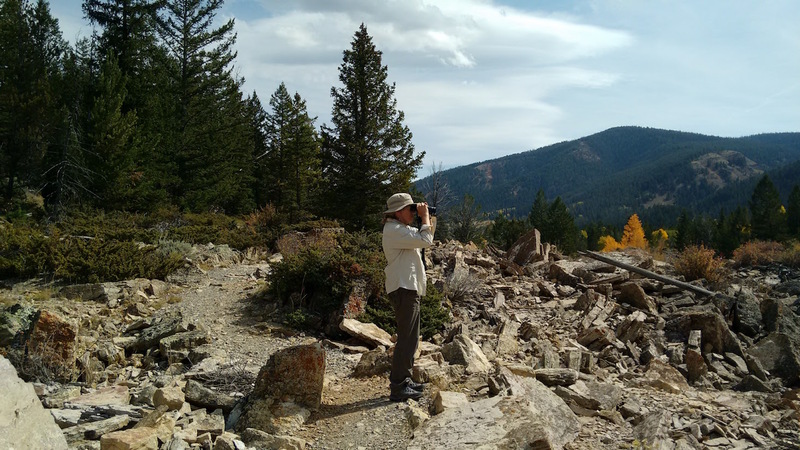 Climate change is warming the western United States, including the Greater Yellowstone Ecosystem. Scientists say that some populations of pikas can die within hours when exposed to temperatures above 80 degrees. 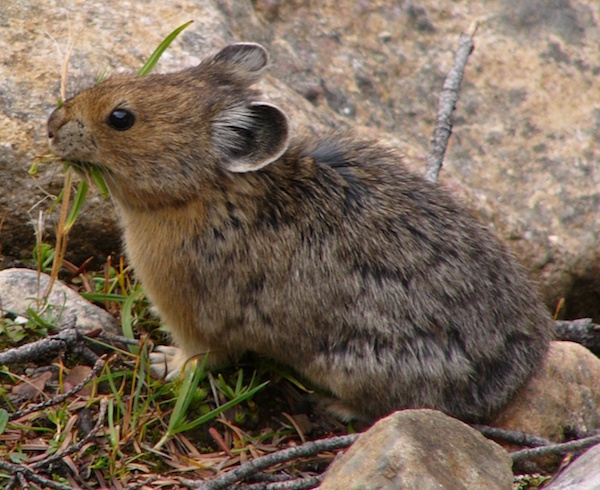 In 2010, the National Park Service Climate Change Response Program initiated "The Pikas in Peril Project." Results of their data collection should interest everyone because other animals -- including humans -- may suffer similar stresses as things heat up. Pikas are sort of serving as outdoor lab rats for us. The future of pikas will probably depend on evolutionary processes as well as what we humans do to end global warming. I hope they make it.